A place to share my heart about this journey called life, and to have a spot to practice one of my passions: writing. .
Is it really day 13? Wow, and here I promised to do better on my blog. Well, you know what they say about good intentions. Life has been a bit busy for me these past few weeks. I won't bore you with all the details, but lets just say writing hasn't been one of my priorities. That's a sentence you would normally never hear from me. But it's true. Since having all of these "issues" with my back, my heart and my gallbladder, I honestly have lost my zip for story telling and have had no inspiration on how to end my current book. So, that basically means, I have been at a complete and total stand-still on the writing end of my life. I'm not worried. Okay, I'm not too worried. The zip and inspiration will return. When it does, you will be the first to hear (and read about it). I am now officially a human with no gallbladder! Yep. My lovely, but non-functioning gallbladder was removed by a very unusual looking robotics machine thingy (and my surgeon) on Jan 3rd. My heart did amazing! Yes, I was nervous, but the Lord helped me through. I thought that was the hard part. Boy, I was wrong. The recovery has been a little more challenging than I thought. Everyone had been telling me how they were up and about doing what they normally did within a couple days! Yikes...that has not been my story. Maybe it's because I'm "older" and therefore, my body just decides now to takes its own precious time to do things, but today is day 10 of the recovery, and it's my first Sunday to go to church; my first day to actually be participating in things (so to speak)... standing up and down in church; driving longer distances than 2 miles; going out to an actual restaurant; fixing my hair in something other than a braid and using perfume! I actually felt human again. It was nice. Then my stitches and incision started paining me and it quickly reminded me that maybe I should take this in stages. A little at a time is okay. So this evening, I'm sitting on the couch, checking emails, writing on my blog, working on a 1000 piece puzzle that is full of butterflies and hummingbirds (sounds pretty? right? well I consider myself a very good puzzler, this particular scramble of weird gorgeous colors and crazy patterns has taken me 2 weeks...yep and I still have about 50 pieces left). At this point, I just reach in the box, pull out a piece and if I can't place it within 30 seconds, I put it back and walk away! It will get finished, when I can sit long enough to finish it. Slippers are on (thank you mom for the best Christmas present ever) and I'm going to make me a cup of tea and play Majong online while listening to my favorite Spotify playlist. Bottom line? It's going to be a relaxing evening. I have a followup appointment with my surgeon on Tuesday, and will probably be released to go back to work on Monday. If I'm completely honest with myself, I am not looking forward to going back to work. First of all, I'm terrified I have forgotten how to do my job! Second, I would really love to retire! Thirdly, I can't retire yet...but I would love to do something I loved for a change. I can hear everyone of you yelling at me to finish my book and earn some money that way... Right? Okay, that sounds like a good plan. Unfortunately I will probably have to continue doing what I currently do until I sell my first Bestseller! So I will be thankful I have a job and be excited about my future in writing and hope for the best. The Lord has a terrific and exciting plan for my life, I just don't know what it is. But I suppose that's the "walking by faith" part of life. I have learned that not all our days will be filled with excitement, fun, and spark...most are just the mundane daily stuff that has to get done. But sometimes...God allows something amazing to happen! The mundane and tedious change to magical and tremendous. He will put a smile on your face, a twinkle in your eye and a skip in your step. It won't last forever, but it will be exactly what you needed at the precise moment you needed it. And for me? That's enough. Waking up this morning, with all my little aches and pains and the remnants of a headache I had all night, I was quickly reminded that this is DAY ONE. There is something about that first day of January that just feels good. Even though I don't necessarily believe in New Year's resolutions, I still love the feel of a new start. It's like opening a brand new journal. Clean pages. No erases, blots or scratch outs. Nothing has been written yet. I always feel that anticipation of the very first words I will put on that page. It may not be a great poem or sonnet. It doesn't really matter. What matters is that I pick up my pen and write. Something. Anything. Appreciating a beautiful blank page is not the purpose of the journal. Just like the purpose of Day One is so we can start moving. Start living. Start doing something. I have to stop myself from just wanting to sit here basking in the knowledge that today is a clean slate; new beginning. A chance to have a do-over, so to speak. But just thinking about it isn't going to work. I actually have to get moving. I need to start filling those pages. Hopefully, not just with empty words or useless mind-numbing nothingness. That's my desire. I want this new day, new year to be filled (as much as possible) with moments that are encouraging to others; helpful in ways that matter; I want to be a better listener and doer. I want to be a better person: inside and out. My body and my soul. I want to see people the way Jesus see's people. Through eyes of love. I don't want to hold on to hurts or grudges. I want to forgive, let them go and move forward. I won't lie, I also want to accomplish a few "earthly" things. I would love to get out of debt and build up my savings account. I would love to take an amazing vacation and visit friends that I haven't seen in years. 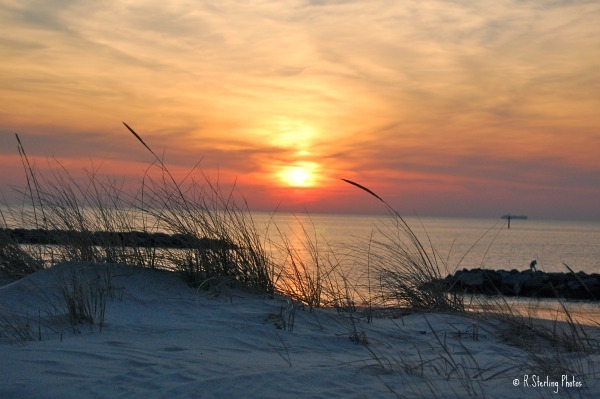 I want to go on a road trip with my grandchildren and walk along the sandy beaches and watch a gorgeous sunset with them. I want to ride a roller-coaster with my grandson and see the Magic Kingdom with my granddaughters. I want to walk up the Statue of Liberty again and stand at the pool of the World Trade Center Memorial and the Vietnam Veterans Memorial and mourn and remember. I want to see the USS Memorial at Pearl Harbor in Hawaii and the Memorial of Deportation in Paris, France. I want to see the Shoe's on the Danube Banks of Hungary and walk the grounds of Gettysburg again. Can you tell, I am a lover of history and battles? Yes, I'd love to hike down the Grand Canyon again and see the faces carved into Mount Rushmore. There are many things I would love to do while still on this beautiful planet, but my true longing is for a place called heaven. When my time is over here on Earth (hopefully I will be one of those that are alive and remain), but either way, my ultimate goal is always to live forever in heaven. Period. That's the ultimate prize. God has given each of us a period of time to live, love, experience and do what we can to leave our mark, but none of it really matters if we don't know where we will spend eternity. We aren't truly ready to live until we are ready to die. (I don't remember who originally said that, but I wish it had been me). So this year, don't strive to be perfect. No one, except God, is perfect. If you were perfect, you wouldn't need Him. Strive instead to be thankful, grateful and content. That doesn't mean that we shouldn't do what we can to better ourselves in our health; in our spirits; even our education of certain things that will help us to help others. "I ask two things from you, Lord. Don't refuse me before I die. Keep me from lying and being dishonest. And don't make me either rich or poor; just give me enough food for each day. If I have too much, I might reject you and say, "I don't know the Lord. And if I am poor, I might steal and disgrace the name of my God." I look forward with anticipation for what lies ahead. I am a soldier in the army of the Lord. I know we win, in the end. It's all the battles that we have to fight before the end, that's hard to deal with. But deal with them, we will. One way or another, we will overcome, and Satan's day of reckoning is coming along with our day of victory. No more tears; no more heartache; no more fear; no more pain. There are so many more "no more's..." the list would be too long to name. Wrapping my head around that concept alone is boggling to my little mind. One day, we will be able to lay our armor and weapons down, for good. We will never have to pick them up again. I have this picture in my mind of this huge pile of dirty, bloodied armor just stacked as high as a mountain. A reminder of the battles that were fought. And us, standing to the side...cleaned up and in our beautiful robes of white, looking one last time at that pile. (I'm a writer, so bear with my imagination...it probably won't be a bit like that, but who knows?) Then, God will come by and wipe our last bit of tears from our eyes, and just maybe that's the time he wipes our memories of all the bad things. Who knows? Only to remember the good; Forever! And then we'll go eat! I always wonder who had to set THAT table? I imagine it to be miles and miles longs. Wow. And what are the place settings going to look like? Gorgeous, of course! Okay, I really didn't think this posting would turn out to be an imaginative narrative on what heaven will be like, but I honestly LOVE thinking about it all. It's going to be my new home, so why wouldn't I dream about it? Here is wishing you and yours the very happiest and blessed 2019. Looking over at the alarm clock on her nightstand for the tenth time, Savannah groaned when she saw that it was 2:03 a.m. Only 20 minutes had passed since the last time she had peeked. "Are you kidding me?" she moaned to no one in particular. Rolling to her side and pulling the down comforter over her head, Savannah whispered a quick prayer that the next 4 hours she would experience a deep and glorious sleep. And P.S. Lord...Please make the 4 hours feel like 8. As she lay under the covers with her eyes wide open, Savannah began thinking about random stuff. For example...why did she always set her alarm clock to the Spanish radio station when she didn't speak Spanish except when it came to food? She figured it was because it was the loudest station in town, which irritated her just enough to actually get up and get out of bed. At this point, Savannah was going to need LOUD when that alarm went off in 4 hours. "Wow, you look like death warmed over. Rough night?" The large burly balled headed man in the rumpled suit standing next to the coffee machine eye balled her as he passed her a cup of what passed as "coffee" in this office. "Thanks boss...and yes, it was a rough night." Savannah started to sip the thick black sludge in the cup and thought better of it. Dumping it down the drain she smiled sweetly at her boss. He meant well, but he also didn't bat an eye as she rinsed out the cup and headed for the door. "So what kept you up all night Williams?" "Got a story I'm working on boss. It's got me all jumbled up inside just trying to figure out how to handle the interviews this afternoon." Savannah walked into her office, threw her bag on the couch and was unwinding her favorite scarf from her neck when she realized that her boss, Jack, had followed her in and was slamming the door shut. "Hey. What are you doing? I mean, I know you're the boss and all, but you never close the door unless it's your own office. So what's up?" "Sit down Savannah," Jack said while sitting down in Savannah's desk chair and leaving her the only other option in the room; the old puke green lumpy couch. This did not bode well. "Well, boss...I WAS gonna sit, but now that you're telling me to sit, I feel like standing." "Sit, Savannah. That's an order." The seriousness in Jack's voice, made her re-think that snarky comment that was just sitting on the tip of her tongue. As Savannah reluctantly sat on the couch, something started twisting in her gut. Her dad used to call it a "bad feeling," but Savannah just called it "trouble." As I dove into my daily devotions this evening, I started reading a new book by Max Lucado called Anxious for Nothing. I have always loved and identified with this guys writing. His newest book (at least the first chapter) did not disappoint. If you get an opportunity, it's worth the investment. It is written for today's times and today's issues. The greatest part is that God is up to date with the issues that are plaguing our world for today, and He has a solution. He gave the answers and advice and testimonies a long time ago. They are completely and totally applicable to every situation that we are going through in 2018. You gotta love that. For me, being reminded that anxiety is not a sin, but an emotion, and that the presence of anxiety is unavoidable, but the prison of anxiety is optional...(thanks Max, I love that)...is such an encouragement. Anxiety is a plague in today's America. We have all experienced it in some way, whether big or small. And doctors say, its only getting worse. It has no gender preference; no religion that it likes to attack better than others; no class, color or origin it finds easier to inoculate more than another. We are all susceptible. America is the winner of the #1 country that suffers from it the most. Ironic that the country who has abundance of wealth, knowledge, technology, freedoms that others do not have, more things to make our lives easier, safer and better, should be suffering with such high amounts of stress and anxiety, that its sucking the very joy out of us. Lately, at work, I see more stress and anxiety than ever. The constant pressure of trying to achieve and meet goals and stats and metrics in order to keep your job, or to be promised an increase in pay for the next year has grown to such a proportion, that fellow workers rarely speak to each other. Going to lunch together or pitching in money for a co-workers birthday cake, cards and balloons are just not heard of any longer. I start to look around and realize I don't know the names of half the people on my floor any longer. They come and go so quickly. The chapter I read tonight was so helpful. I am going to share a small portion of it. I hope Max is okay with me putting his awesome words into a more personal prayer for myself. With God as my helper, I will sleep better tonight and smile more tomorrow. I am going to change the way I face my fears. I will learn how to talk myself off the edge and I will start to view bad news through the lens of sovereignty. I will tell myself the truth and do better at discerning the lies of Satan. Max tells a little story about how his dad use to check all the locks on the doors at night after he and his brother went to bed. He would then, walk into their bedroom and whisper, "everything is safe now, you can go to sleep." That just touched my heart in so many ways. God is my heavenly father, and He loves me; watches over my little world and monitors everything in my life. God IS the door and He will let nothing get through without His permission! Thank you Max Lucado for your words of inspiration and encouragement to my life that gets bogged down with stress and anxiety more than I'd like to admit. Lord, be the anchor of my soul. Let it sink way down into your firm foundation, that will never, ever shift. Help me to wait on you. For You are my only hope and any fear I have, is a liar! That title may sound a little exaggerated, but today I am pleased to announce the publishing of my very first short story: Full Circle. It is now available on Amazon and Kindle in book or e-book. Truthfully, I'm excited and also a little nauseous. I've been told that's normal. I have this weird feeling in the pit of my stomach that no one is going to like it and everyone is going to look at me like I'm a ten year old trying her hand at telling stories. Trust me, I know better than anyone that I'm not a Beverly Lewis, Jannette Oke or Francine Rivers. I've never even read one of Beverly Lewis books, and she's on the New York Best Seller list. I love Oke for her "Love Comes Softly" series and the "When Calls The Heart" series. Francine Rivers hit a home run with the Mark of the Lion Trilogy (in my humble opinion, its the best series in her genre, EVER). I would love to be accomplished and inspirational like they are. It's going to take some time and an extra dose of courage. Full Circle is a very short (44 pages) short story. It's a simple story about an Amish girl named Hanna. It just shows a small window of time in her life where she starts to question what her future is going to look like. She wants to be a Veterinarian, which requires college. Her Amish lifestyle prevents that. Education is only allowed up through the 8th grade. Hanna wants what other girls her age want. Love, romance, a home and family someday, but she has always wanted something more. 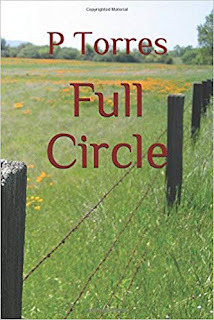 Full Circle is a small little glimpse into her heart and mind, and how God can bring answers in the strangest of ways. There's a little humor, a lot of heart, a few hilarious moments and of course, the possibility of something wonderfully romantic. My editor told me I should make it a series, but I kind of like the way it ends. It lets the reader wonder what lies ahead for Hanna. Who knows? I may change my mind and do another book to see where things head for the Beilers and the Fishers. For now, I'm working on a really great novel called "Lovely Days" (at least that's the title for now). So...my first has been thrust out into the world, where family, friends and complete strangers are going to read it, hold it, ear mark the pages (don't you dare) and maybe draw in the margins. I had no idea how hard this part would be. Whatever the future brings; whether my future has best-sellers in it, or just wonderful adventures for my local friends and acquaintances, I will be happy. The Lord has helped me accomplish one of my goals. Get one of my stories published and out into the market so others can read. That is checked off of my "Things To Accomplish In My Lifetime" list. Now I'm getting busy writing the next adventure. Thank you to all who encouraged, prayed, listened and wondered if it would ever get done. I love you all. My name is Pam, and I am an author of a published book! Wow, that has a nice ring to it. Sometimes you have to figure out how to adjust your perspective. The way we think something should have happened, or the way we dream about the future. If we don't, it's easy to get discouraged. Everyone needs something to hold on to. It takes more than blood and oxygen for people to want to live...it takes something called "hope." We've all heard the stories of horror, despair and torture that people have lived through. Whether it be the holocaust survivor or the POW that was held captive and tortured everyday. We've read books or watched movies about the end of the world and the apocalypse (whether by earthquake, tsunami or zombie invasion) and one thing that keeps people going, is that little thing called "hope." What is it about hope that is so powerful? I love the song that says, "My hope is built on nothing less, than Jesus blood and righteousness." Congregations sing songs about hope every Sunday. My hope is in the Lord. Others may have their hope in something else, but we all have to have a ray of hope, or we just won't make it when things get really dark. So for me...I need to change my perspective. I want to see things differently. My head and my heart don't always line up. My heart may be very upbeat and positive, and my head may be very realistic. Black and white. No grey areas. My head can be judgmental and critical at times. Even skeptical. For the most part, my heart keeps my head in check, and vice versa. I long for the day when my head will line up with the good parts of my heart. I say "good parts" because I realize the Bible tells us that the heart is deceitful above all things and desperately sick. Hmmm. That's something to think about for another day! The Bible also tells us that man looks on the outward appearance but God looks at the heart. One of my very favorite verses is where God says he will give me a new heart. He will remove my stony (hardened) heart and give me one of flesh (tender). That is so beautiful and encouraging for me. That is what I want. A heart that is tender and true. I don't want to be messed up because my head and heart are on two different wave lengths. Two different pages, and sometimes two completely different books! In reality, that IS the battle of every persons human nature. The fight between right and wrong; good and evil. Most people, if they are honest, deal with these struggles on a daily basis. I know I sure do. So for today (and that's all I have), my prayer is that the Lord will help change my heart when it needs to be changed, and to be in control of my mind at all times. Whatever craziness goes through my head...I don't want it to land in my heart and start making a home there. I can't stop it from visiting, but I can sure pray that it leaves without a trace. This past winter, I decided to take a Creative Writing class online, just to freshen up my skills. I'm always looking for things like that. Typically they are fun, enlightening, inspiring and give me new tips and tricks to help me be a better writer. This particular class was a little different. One of the first pieces of writing that we were asked to do, was an essay on the loss of a loved one. Easy, right? I've been through that experience a few times, so I knew I'd have no trouble with that topic. I pulled out all the writings I did after Josh died, and put something together that was rather good. Before turning it in, I decided to re-read the directions from the teacher one more time, to make sure he didn't have any particular things he wanted in the essay that I may have left out. Lord knows I've made that mistake before. Looks as if I did it again. Was I in for a surprise! Somehow I had overlooked the part where he stated that the person you write about, could not actually be dead yet. What??? I read the description again. "Write an essay about the loss of a loved one, that hasn't actually happened yet." I saved the essay about Josh and put it into his own special file labeled "Josh" (not very creative, I know) and opened up a new blank page! Blink, blink, blink goes the cursor. I had a feeling I was in trouble. Who wants to write about someone they love that has died, when they are still here? So I started down the list. There was absolutely no way I could pen words about my children having passed away without the emotion overwhelming me. My grandchildren? No way! That was a non-starter. That would be harder than writing about my own children. Sorry guys! So, I had to make a decision. Soon. The essay was due in two days. I thought I was going to have it turned in early. I was wrong! The winner of this crazy essay subject? My mom. (sorry mom). I made it as light and easy as possible. I knew I'd never get through it otherwise. I chose not to focus on her death as much as how it made me feel. I refused to have something heavy and agonizing. I recently made a promise to myself, that I was going to start seeing myself as an author, instead of just a person who loves to write. This is what my editor told me to do. She encouraged me to post old writings of mine. The good the bad and the ugly. And to write at least 1000 words everyday. I write something everyday. 1000 words of something? Not always. I'm getting better at it. Some days its 500 other days its 2500. The point is: write everyday. Here is the essay. It's different, but I hope you enjoy it. By the way, my teacher gave me a nice review on it. And mom? I am so completely grateful every single day, that you are still gracing this Earth with your presence. Your life is such a beautiful example of living life to the fullest. You are my biggest fan. Here's to living forever with heaven as our eternal place of residence - Just not yet! They say the passage of time heals all wounds. What happens when time moves so slowly that your wounds start to fester? The infection builds into a fever of constant pain and loneliness. The mere thought of waking up to a new day, becomes terrifying and exhausting. So you choose to stay in. Stay in bed. Just one more day. That’s it. 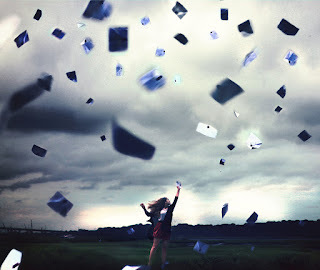 Tomorrow will be a new day with its own list of “to-do’s”. Shower, food, devotions, pay bills, call mom…oh wait. Mom’s no longer around. She’s in a “better place” and is “dancing on the streets of heaven.” We should all be happy that she is free from pain. Free at last! Somehow, my heart and my head cannot wrap their arms around that concept. Not yet, anyway. My head knows it, but my heart is just not their yet. I’m not ready to feel “joyful” that she’s gone. Maybe I never will. Grief looks different on everyone and has no timeline. Yes, God knows and sees all things. He knows how much I loved and wanted my mom to be healthy and live another 10 years, at least. So why didn’t He heal her? He’s certainly more than able. He’s God. He created the heavens and the Earth for goodness sake, so why not heal one 83 year old 110 pound mom? Asking Him, seems a little rude. But I do it anyway. With respect, of course. His answer? Trust is easier said than done, but do, I must. (Okay, that sounded a little like a quote from Yoda). Someone once said that change begets change; and repetition reinforces repetition. Truthfully, none of us knows what’s coming around the next bend. The only way to discover where you fit in when you feel empty like this, is to just step out of the routine. Routines are comforting though; until they aren’t. It’s scary stepping out of the boat. President Reagan once said, “The future doesn’t belong to the faint of heart, it belongs to the brave.” So here’s to being brave…tomorrow. Yesterday in church, I noticed that mom's come in all different styles. Newbies...in the early stages of pregnancy; a little green around the gills, but excited that they will be a mama to their very own in a few months down the road. Both anxiety and joy fill their faces. The unknown lies ahead like a looming cavern of darkness. The dizziness of all the advice, opinions and ideas that rain down around them have turned the cute little journal called "How To Be the Best Mom" that she writes sweet little names, dreams and prayers in, into a stressful and frightening list of things to watch out for and the do's and don'ts and have's and have-not's. That newbie is still really excited, but she has learned a valuable lesson. Keep the pregnancy a secret until you absolutely cannot fit into anything in your closet. And... telling people too early makes for a very long 9 months. Next, you have the beautiful young woman who has two children; great figure; gorgeous hair-do's and her kids are perfectly groomed; always prepared; and doesn't look as though she's had to wake up three or four times a night EVER. We all just watch and wonder. Stand amazed and ask, "How does she do it?" Then there is the mother of three or more. The clothes are slightly wrinkled; hair is slicked back in a pony tail or top knot; kids have runny noses and have something spilled on the front of them or a button missing that you missed. During the prayer for the prayer requests, she nods off. When she opens her eyes, she notices the miss-matched socks of one and the other has enough dirt under their fingernails that you could grow a garden. (My mom use to say that). Then there is the mother of the teens. She sits perfectly still. She's the one praying and reading her Bible. Her hair has started to turn grey and she is chewing her lip or pulling at her hair. She wears a constant crease of worry down the middle of her forehead. Then there is the mother with all of her babies out of the nest. Grown, married and starting there own lives. She is completely relaxed. Praising the Lord; smiling, singing and looks as if she has swallowed the pill that removes all stress, wrinkles, and sagging. She has done her job. She no longer has to be on constant "mom-mode" or "teaching mode". Now is when she can start reaping the benefits. Then there is the mom with her grandchildren. The joy; the happiness and satisfaction just radiates from the church pew. She is content in a way that never could have happened any other way. Her children may not rise up and call her blessed just yet, but her grandbabies do. As they age, the pressure and stress of watching them go through tough times; trials; suffering; temptation, etc...almost feels as if the cycle is starting over. But wait! It's different. Grandmothers get the joy of loving unconditionally; teaching without having eyes rolled or the sassing back. Grandchildren listen and learn and are interested. When they lose interest and decide they've had enough...Grandmothers get to send them home. There job isn't over, but this time, there job is to just love them, pray for them and be their when they need you. Because, they will need you. As you can tell, I'm in that last group of mom's. Kids are grown. I have five grandchildren and I'm so in love with each of them that sometimes it's hard to breath when I hear that they are sick or struggling with something. It's different then it was when I was parenting. I can't really explain it, but its just a unique and special kind of love when you become a grandmother. My point in all of this writing, is that there are all different kinds of moms. Tall, short, large, petite, light, dark, loud, quiet, listeners and talkers, comediennes and serious ones, introverts and extroverts, organized and clutter bugs, minimalists and shabby chic, ones who love the outdoors more than the indoors, ones who focus on crafts and DIY stuff and those who buy everything because they don't have a crafty bone in their body. Some are spunky others are lazy, some are shoppers and others get nauseous if the wrack goes round too many times. Bottom line? It takes all kinds, because there are all different kinds of baby humans that need mothers. God knows exactly which baby and mama to pair up together. He doesn't make mistakes. It is true that there are some women who are not necessarily "mother models." They may have given birth, but for some reason, that maternal instinct just didn't kick in. That doesn't mean it never will. I know women who are wonderful mothers, but when having very frank and honest conversation, they admitted that they just weren't comfortable with their children when they were newborns/babies. Some just do better after the child gets older. School age, even. Others find complete ease with the newborns and young babies. It comes naturally to them. They may struggle as the child gets older and goes through that 12 - 18 year age span. I think if we were all truthful, we would have to admit that there were certain stages in our children's lives that we did better with than others. That doesn't make you a bad mom. It makes you human. I had a woman tell me that until her child started talking, she just didn't connect with them at all. She did the necessities. Food, clothing, hygiene, protection. She loved them, but just didn't really identify or connect, until later. Once they started communicating verbally and getting older, the mom was completely involved and had an amazing relationship with each of her children. For me personally, I adored the whole babyhood stage and toddler stage. Even the early childhood 5- 10 years of age was fun for me. When they turned 12???? Honestly?? I would have happily sent them to an island to be raised by someone else until they were 18. That may sound harsh, but there were definite times when I felt that way. Just sayin! And I LOVED being a mother. It was the one thing I felt I was actually pretty good at, even with all the mistakes and missed opportunities and the words that came out of my mouth that I could never take back. I still loved it. My children were (and are) my sunshine, my greatest joys, my greatest accomplishment and my biggest fan club. I always figure I didn't do too bad of a job at being a mom, because both of my kids still love hanging out with me. It's a mysterious transition, the change from "mom" to "friend." I often think that if my children weren't my children, and I met them somewhere such as work, church, grocery store, restaurant...I would want to be their friend. Mom's wear so many different hats throughout their children's lives. As newborns, mom is their protector and provider. From toddler to young adolescence, she is their teacher, trainer, mentor. Through the teen years, she is still their teacher, trainer, drill Sargent (oops, did I really say that? ), listener, motivational leader, biggest fan and confidante. Like I said...lots of different hats! And that wasn't nearly all of them. So mom's, don't stress about being perfect and raising perfect kids. Trust me, you're fighting for something that isn't realistic. Just love them; that's you're prime responsibility. Teach them by example, but make certain you get yourself fixed first, before you try to fix them. You can't help someone else unless you've helped yourself first. Remember about the oxygen mask in a plane. You put yours on first...so you can live long enough to help the others. Get your own self in order before you expect your children to be in order. They are followers; little sponges and will follow your lead whether you're going in a positive direction or not. They trust you that much. That puts a great deal of opportunity on your shoulders. Just keep doing the best you can. Love God; love your husband and pray for joy unspeakable and peace that passes all understanding. And your children will rise up and call you blessed, or at least give you sticky kisses and awkward hugs and tell you daily how much they love you. The "blessed" part may not happen when they are 13 and an alien has invaded their brain for the next several years, but trust me, it will happen. Keep your chins up moms...You've got this! Someone once said that the past is written. It's done. You can't fix it or change it. But the future is a blank page. It isn't written yet. So get busy living. I like that. Even as a Christian, I know what happens at the end of the story, but I don't know what happens in the middle. That's the tough part. Even as a writer, I can come up with awesome beginnings and exciting endings, but the middle part? Well, that's not always easy. Beginnings are great. Everything is fresh and clean and new. Even if its not, you at least know you have the ending where everyone lives happily ever after...Right?? It's all the "living" that goes on in the middle that is filled with ups, down, in's and outs, good and bad, hope and discouragement, joy and heartbreak, good choices and bad ones, loves and losses, great success and horrific downward spirals... and the list goes on and on. That's the middle. Doesn't sound too glamorous does it? Truth is, the middle is the biggest chunk of our lives. The honeymoon faze doesn't last forever, right? No matter how great of a relationship you have. Eventually it gets down to the daily grind; the nitty-gritty and the sometimes ho-hums of daily living. The amazing job that you worked so hard to get, always starts off with excitement and challenge. The new office; the brand new equipment; the pay raise and better benefits. Then a few months in, they ask you to work late. Then they want you to come in early, and pretty soon, you're missing meals with your family and the kids are already in bed asleep by the time you get home, and you are already gone when they wake up. You see where this is going. And, I'm not saying that this means there is a bad ending; I'm just saying that this is the middle of life! The hard stuff. So here's to all of the great authors out their who write great beginnings, real middles and wrap it up with a satisfying ending. My point? Don't be afraid or bored of the middle part of life. Don't get so caught up in someone else's story that you lose your own. Don't let your tragic flaw be your inability to change. Remember, the only time machine we have in this life is the one we're born in, and it only goes forward. No one loves a great "time travel" story than me, but I also know that is just science fiction. Great fiction, but fiction non-the-less. The great Marcus Aurelius (The philosopher king) said, "The universe is change. Our life is what our thoughts make it." Proverbs 18:21 says, "The tongue has the power of life and death..."
Words have an incredible impact. Particularly in those people that you have a connection with. 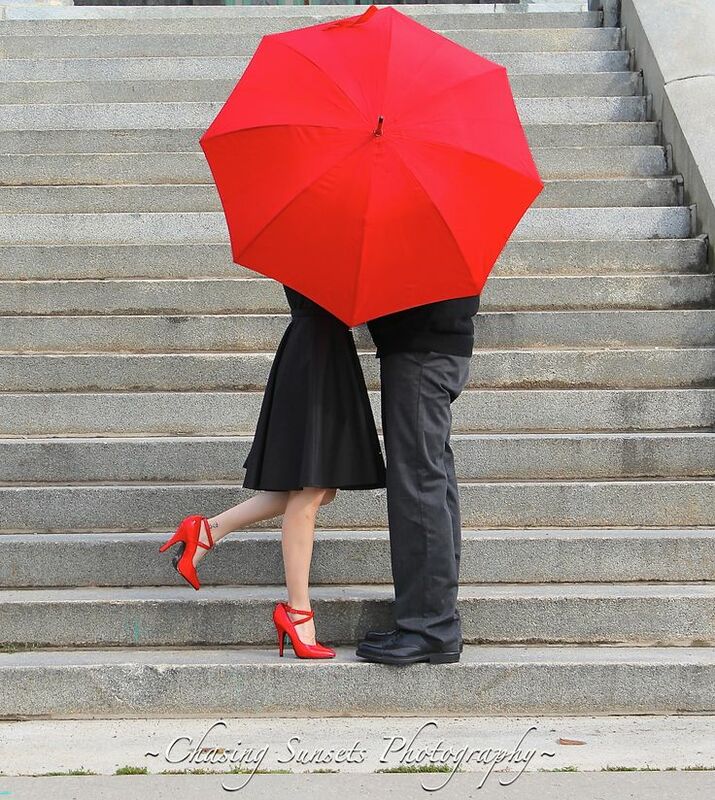 The closer you are to someone, the bigger the impact their words have. A husband can destroy is wife with just words, and a mother can build courage and bravery in her children with just her words. That places a great deal of responsibility on our individual shoulders. Watch what you say. The tongue is small, but it can bring good or evil to someone else's world. Someone once asked the following: "Do you ever wonder why God gave us one mouth and two ears?" I'm Pam. Mom, grandmother, widow, author, lover of faith and family, writing and planning trips to far away places. This blog is to primarily to practice my writing skills on my readers and to share my heart with anyone who will listen. I live in the desert, but long for the ocean. Listening to great music and sipping amazing coffee while writing is a little like heaven for me. While having lived a few years on this earth, I have learned that life rarely turns out the way you planned or hoped, but it always turns out the way its supposed to...eventually. 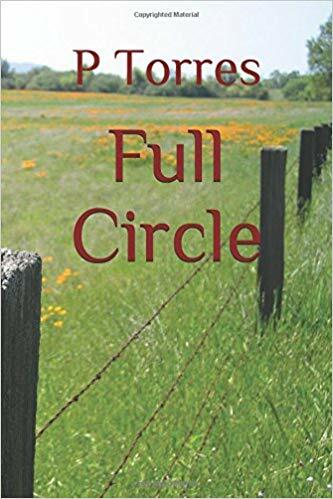 Happy to announce that my short story, "Full Circle" is published and available on Amazon. It's my first, so don't expect too much. It's a little rough and every time I read it, I see more things I wish I would have done differently. Never-the-less, I'm so excited. Next destination? My first full length novel, which I'm practically done with. Jesus is my Savior. Not you. Sometimes scary thoughts are just that - scary thoughts. They're not real. Surely goodness and mercy shall follow me—not some, not most, not nearly all—but all the days of my life. God promised not just an afterlife, but a better life. God sometimes alters our assignments. What makes no sense in this life will make perfect sense in the next.